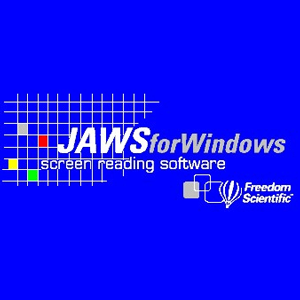 JAWS is a screen reader program created by Freedom Scientific, which allows visually impaired or blind people gain access to information on their computers. It stands for “Job Access With Speech.” JAWS works with the PC to provide access to software applications and the Internet. JAWS also outputs to refreshable Braille displays.